Lindsay Block got her start as a hairstylist in New York City. She trained at the renowned Frederic Fekkai Salon and spent nearly a decade working at their chic Soho location. 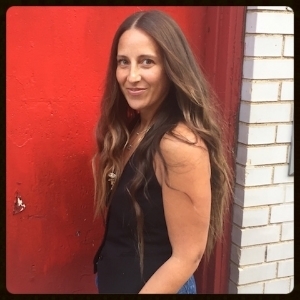 Recognized twice by Allure Magazine as one of New York’s Top Stylists “Where The Pros Go” and as the "Best At-Home Beauty Service", Lindsay delivers a fresh, modern, and effortless approach to hair. Originally from California. she has lived internationally and has called NYC home since 2001. Her effervescent personality is infectious and she has the innate ability to adapt her creative vision, collaborating seamlessly with her clientele. Lindsay has spent countless seasons backstage at New York Fashion Week working with stylists such as Renato Campora, Didier Malige, Teddy Charles, and Paul Hanlon, creating looks for such fashion designers as Oscar de la Renta, Marchesa, Proenza Schouler, Prabal Gurung, Rag & Bone, and DVF. Her work with celebrities and high-profile industry clients includes Martha Stewart, Dana Delaney, Natasha Bedingfield, Courtney Love, Samantha Mathis, Eniko Mihalik, Simone De La Rue, Olivia Chantecaille, Stefani Greenfield, Nina Garcia, Anne Slowey, and Joanna Hillman.